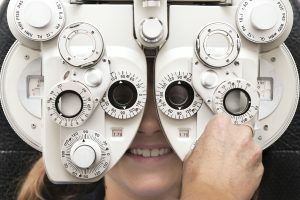 Eye Safety Archives - Moran Eye Associates, P.C. Mandy’s twin granddaughter’s, Aubrey & Harper are protecting their eyes with Moran Eye Associates sunglasses for children. Dr. Tang will be presenting these to the elementary students she is visiting. Our staff will be visiting local classes and providing fun eye facts to the students. Mandy’s son Jagger enjoying the Northern Lehigh Junior Prom with his girlfriend Franki! Jagger knows whatever the season, sunglasses are a must! Mandy and her husband John are pictured here with Jagger and Franki, on this beautiful night in April. We have SOLAR ECLIPSE GLASSES! Protect your eyes with complimentary #SolarEclipse glasses, courtesy of Dr. Mark Moran. Stop in at Moran Eye Associates, 1204 Delaware Avenue, Fountain Hill to pick up your pair! * Our office is open 8am-4pm, Monday-Thursday. Post pictures of yourself in your protective specs with the hashtag #MoranLASIK. We’d love to see photos of you keeping it safe during the eclipse! On August 21st, 2017 the United States will see its first solar eclipse since 1979. This eclipse will be visible to all of the continental United States, unlike the 1979 event which was seen by residents in only five northwestern states. The visible path of the 2017 eclipse will span the country. A solar eclipse is when the new moon comes between the earth and the sun. Where you are on earth determines how much of the sun is blocked by the moon. The 2017 eclipse will have almost 3 minutes of totality (when the sun is completely blocked by the moon) and the best location to see this, is Hopkinsville, KY. At totality, the only thing that will be visible is the sun’s corona and it will be dark enough to see stars during the day. Only a small strip of the United States will experience totality as the eclipse passes overhead. You’ve probably heard you that shouldn’t look at the sun during an eclipse. This information is true, except only at totality. If you’re in a region with 100% coverage and the moon has fully covered the sun, it is ok to look ONLY at that time. Misjudging the timing could be blinding. Since most of the United States will not be able to view the eclipse at totality, as a general rule, it is best to not look directly at the eclipse. Most of have inadvertently glanced at the sun. We quickly close our eyes, turn away or shield our eyes. That’s your body’s natural defense to the BRIGHTNESS. But the brightness is only part of the harmful effect. The sun is essentially a thermonuclear explosion, or atom bomb, constantly exploding. This reaction is emitting harmful ultraviolet light (UV). If you were to look at the sun at any time, your cornea will unwittingly do its job and focus that UV light right in the center of your macula. While the sun is partially blocked by the moon the brightness will be decreased, and your natural reaction to look away will be diminished. Although the sun will be less bright, the UV rays will still be as strong. These UV rays will seriously damage your macula. At totality, both the brightness and the UV rays are blocked by the moon. That is why ONLY AT TOTALITY, for those few minutes, it is OK to look at the sun when it is fully hidden behind the moon and only the corona is visible. To safely view the eclipse, you need a special filter. The filter should have ISO certification and should be free of any pinholes or damage. Old filters should be discarded as they can lose effectiveness. Proper planning and proper viewing will ensure your eyesight and preserve it for the next United States viewable eclipse in 2024. How does the moon which is 400 times smaller than the sun cover all of the sun? The Moon is currently conveniently located about 400 times closer than the sun. The Moon is slowly moving away from the Earth and it’s estimated in 1.4 billion years there will be no such thing as a solar eclipse on earth.